I absolutely love adding little details to our home and rearranging our furniture and candles all over the place. It really brings a lovely new energy to the home and especially after cleaning the whole house it feels so fresh and almost new. So I love that. I wouldn’t say I have a specific interior design taste. I like pretty things and I like minimalism with a touch of character and personality. I like a room to feel like my own but I think less is more a lot of the time. Something that I think is very stylish and makes a bold statement but also adds to my minimalistic ideals is this beautiful Moroccan lamp. I absolutely adore it. I don’t think I have ever found a lamp I love this much. What I love most about it is how the light shines through the patterns and illuminates the room. Especially at night it looks incredible in our bedroom and actually might I say quite romantic too. It adds such a calm to the room. Its true when they say lighting is so important in a house. It really is. I love the detailing of the lamp it is so pretty. 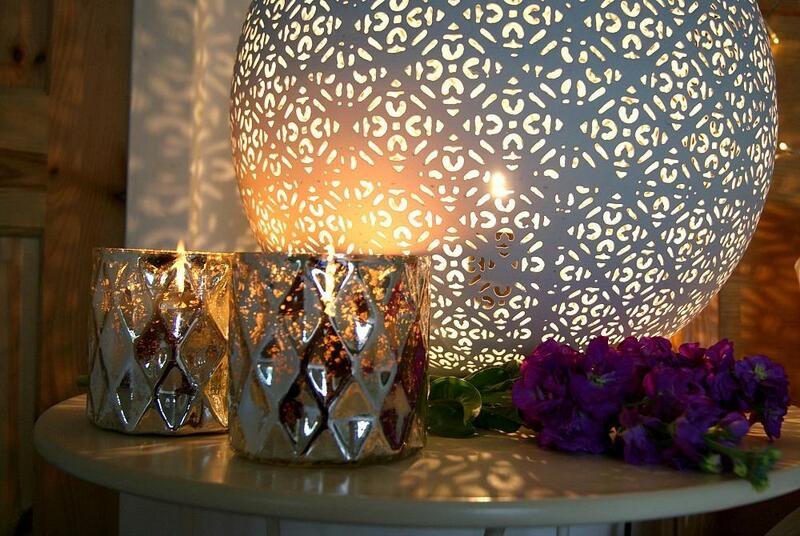 The really lovely thing about Moroccan inspired interior design is that is can suit anyone. It can be as bold and luxurious as you want or even stylish and subtle. 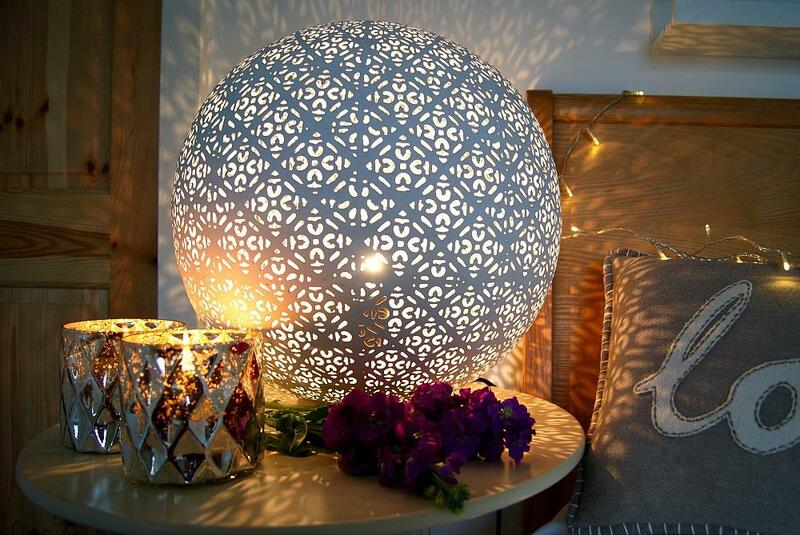 What drew me to the Moroccan inspired lamp first of all was how distinct it is. It tells a story of its own. I feel with the lamp in my home I have a little piece of Morocco here and I love that. Its design has centuries of cultural and religious influences and I think that makes it really special. I thought I would also put a mood board together of Moroccan inspired interiors just to give you an idea of the Moroccan style I love for my home. I would love to know what you think of a moroccan inspired home? 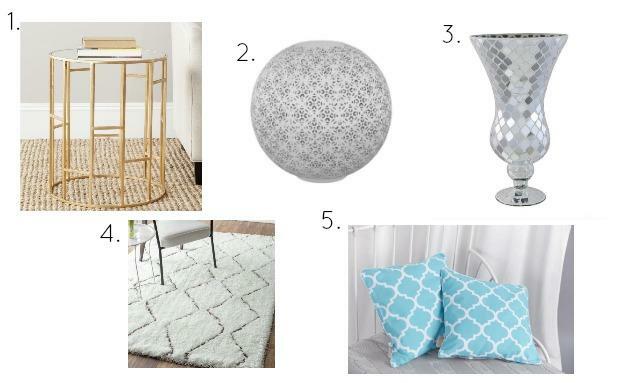 You can also recreate a Moroccan look in your own house with just a few additional home furnishings such as the items I have put together in the mood board above. *This post was written in collaboration with Wayfair. Beautiful choice!! It really creates a stunning effect around the room doesn’t it? It’s so pretty! I agree, I like a bit of minimalism – unfortunately my family have other ideas and I’m buried in clutter most of the time! I love how the light spreads on things from your lamp. 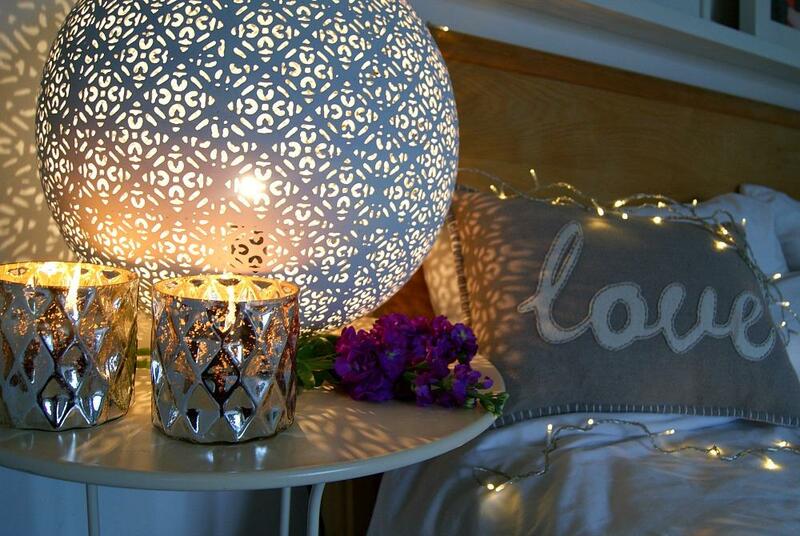 Love love love the lamp. I also love pretty things and I can see why you fell in love with this! It really brings the whole space to life. 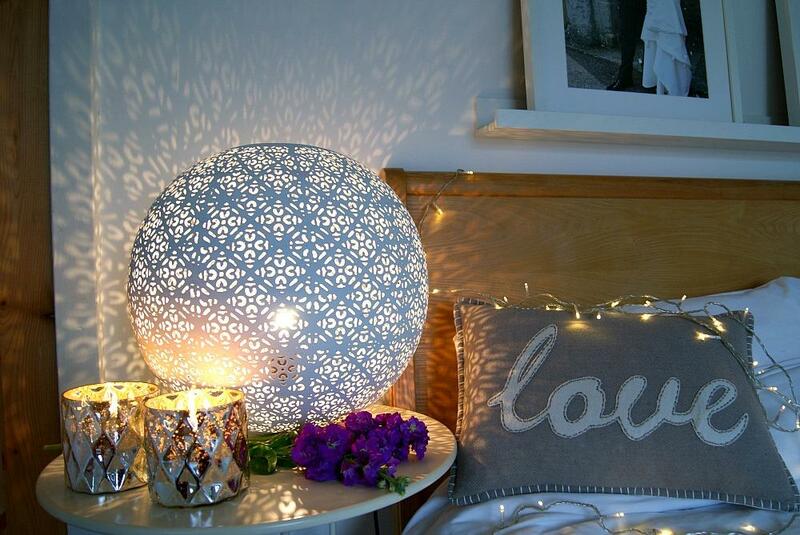 The lamp is really pretty and it does make me think of the stories in the Arabian Nights. I can imagine how beautiful it must look during the night, when you turn it on and how the cut design in it make patterns on the ceiling and on the walls. That is so beautiful! I’d love to do something like this with our bedroom. I love designing my room. While I make it simple and minimal, I think interior design is one of the first things I do when I move in! I love that ball (#2). Super cute! Perfect for every home specially for children’s room.